I am providing SEO services for more than 5 Years having more than 500 satisfied customers globally. 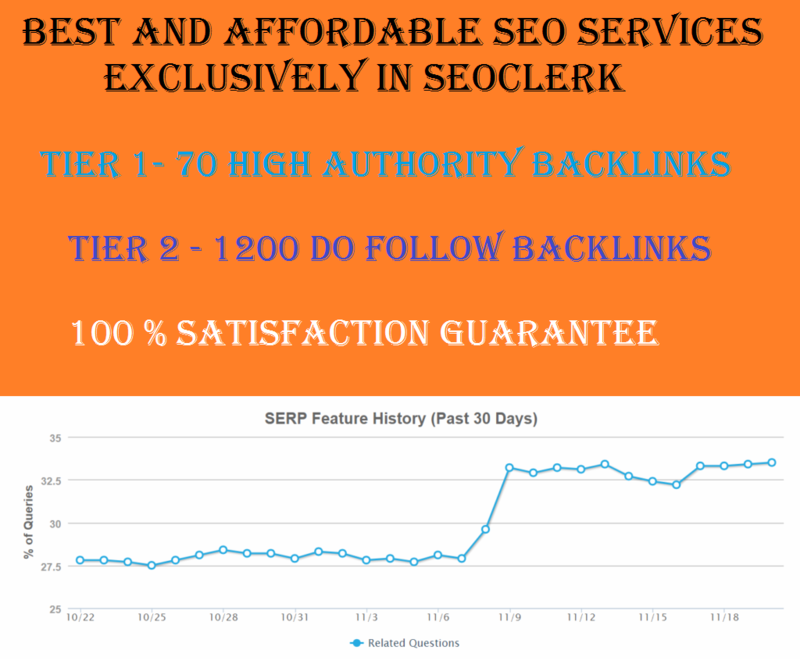 will generate more than 1200 do follow backlinks pointing towards your Tier 1 links which will easily improve your keywords ranking. Please Note: This Gig is best for 2-3 numbers of URLS and same Number of Keywords.